Earlier this month, I completed my certification in Chiropractic Acupuncture. As word has spread, I have heard many questions, both in the clinic and out in the community. Here are responses to people’s most common questions about acupuncture. Some people report feeling a feel a small pin-prick when the needles are first placed, and then a dull sensation or pressure during the treatment. But acupuncture is not intended to be a painful experience. Each needle is sterile and is used only once. Before a treatment, the skin surface is cleaned with an alcohol swab. After each treatment, the needles are considered biohazard waste, and are disposed of appropriately. Patients have reported acupuncture helping with many things, in addition to these 6 Conditions Acupuncture Can Help from our blog last week. Acupuncture can be part of your comprehensive treatment plan, in conjunction with an adjustment or soft tissue work. Call the clinic to learn more at 515-421-4018. 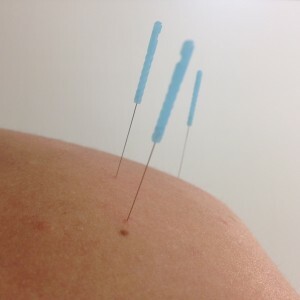 Acupuncture is covered by some insurances.